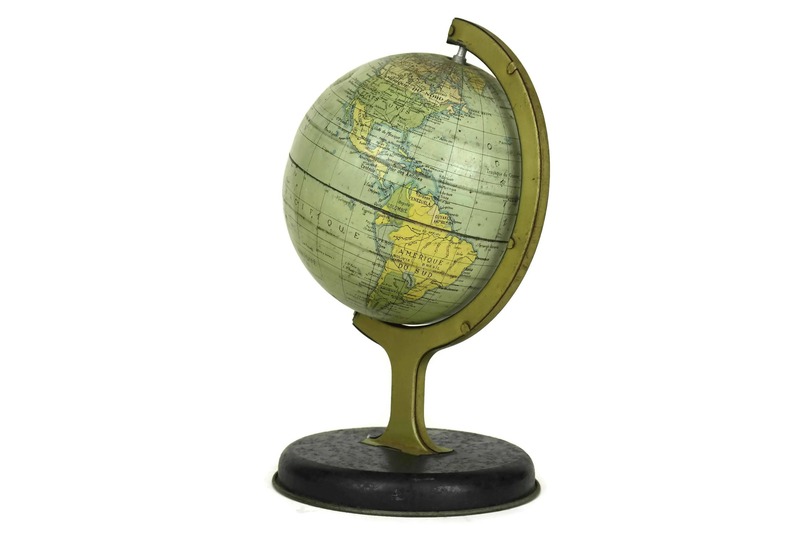 A vintage world map globe No. 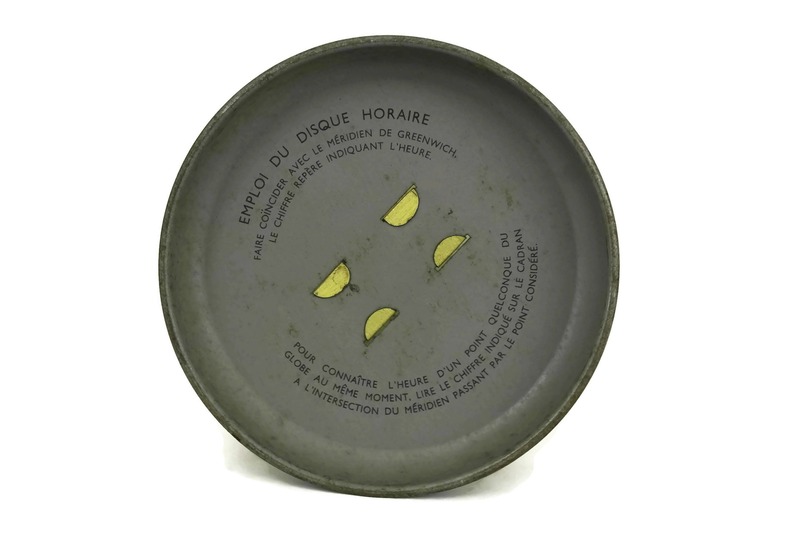 10175 by Chad Valley Co Ltd dating to the 1950's. 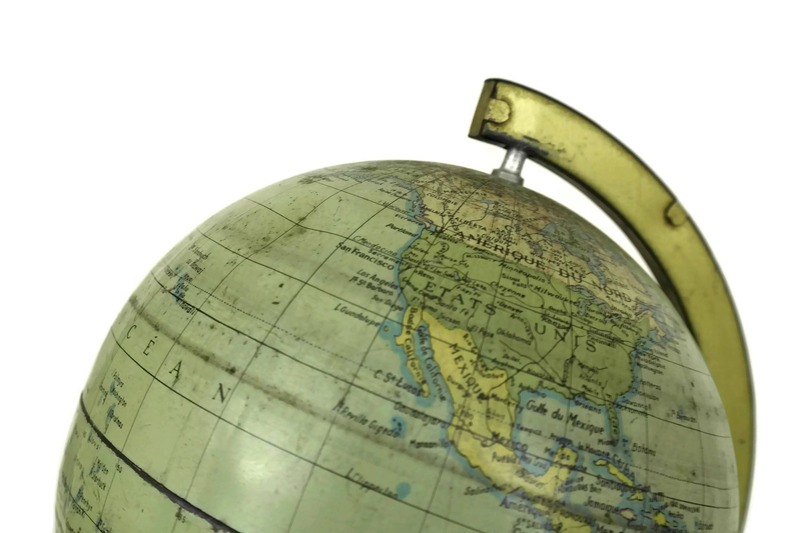 The lithograph tin toy globe was produced by the famous English toy manufacturer, the Chad Valley Company. 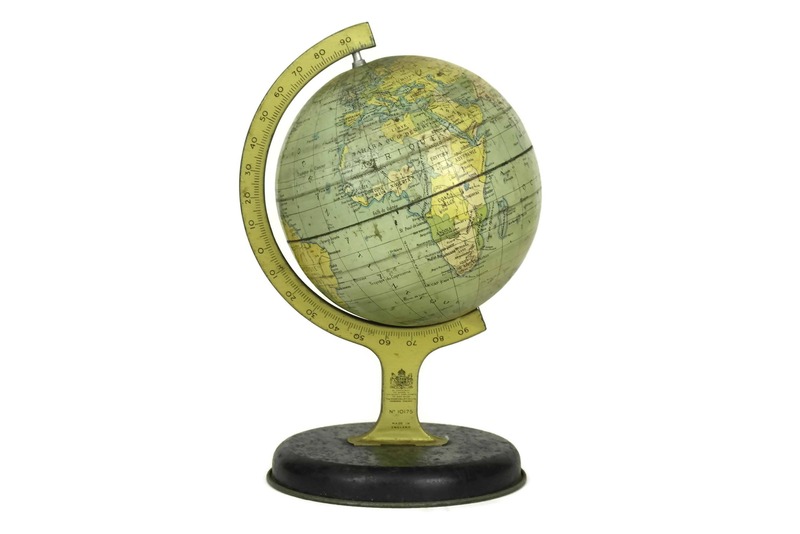 The small Earth model globe and stand have been made from tin and feature a lithograph map and measurement lines. 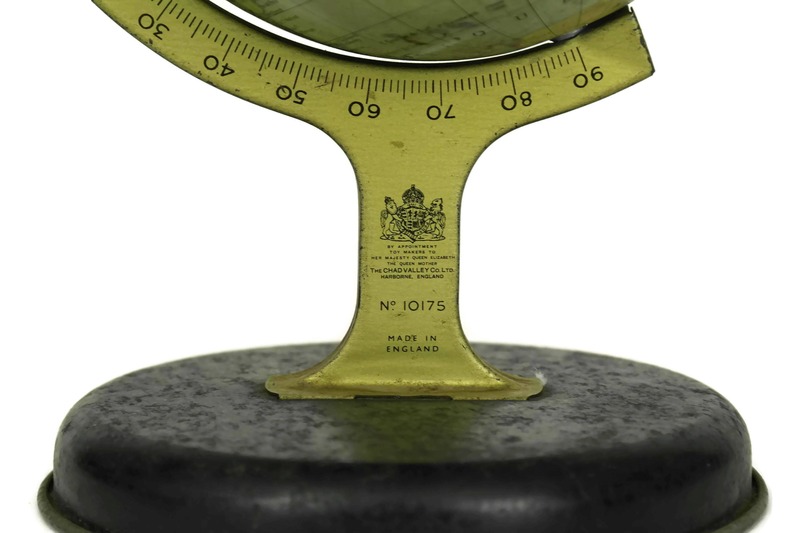 The stand has the English royal appointment seal for the Queen Mother and has the manufacturer's name with the model number 10175. 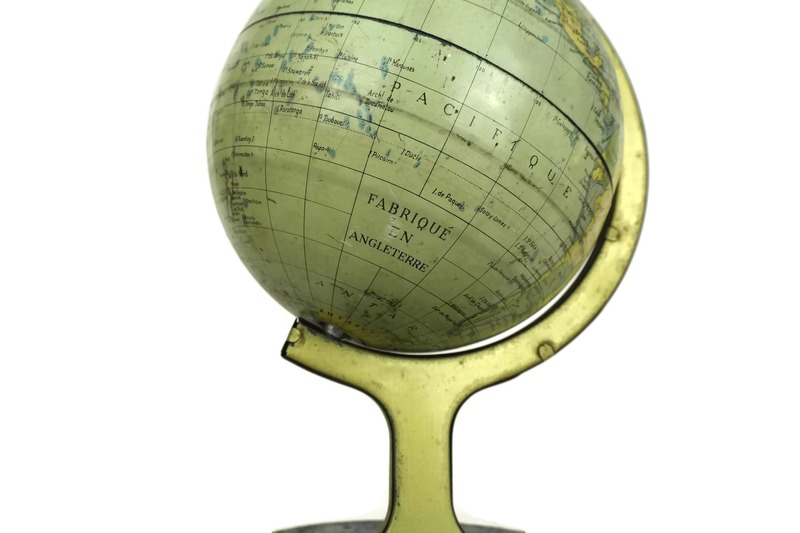 The desk globe was made for export to France and all place names are in French. 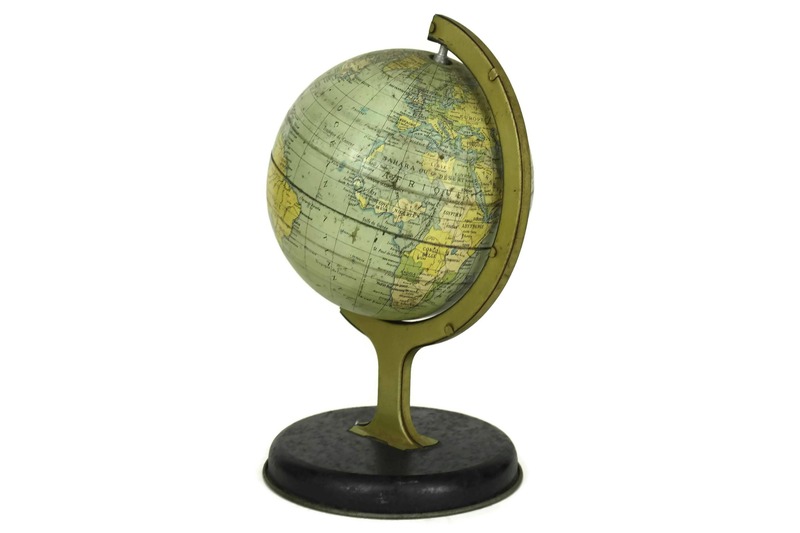 The French Atlas will make a stylish addition to any office desk decor or a great addition to any globe collection. 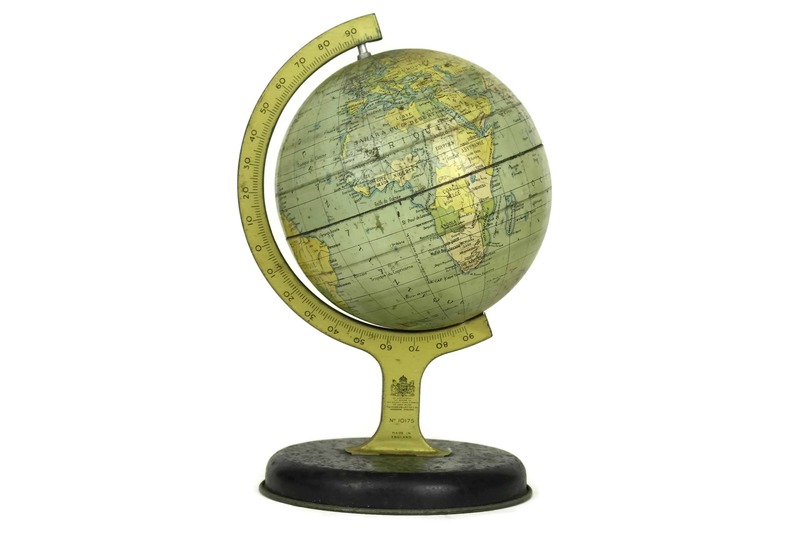 The vintage desk globe is 8" high and 4 1/2" in diameter (20 cm x 11 cm). 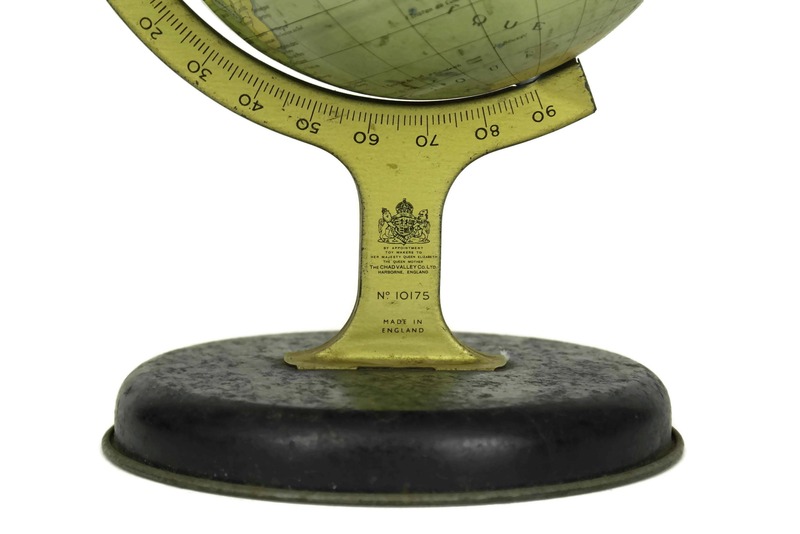 The map globe is in very good vintage condition with light wear, a small dent to the top and light surface marks and scratches. 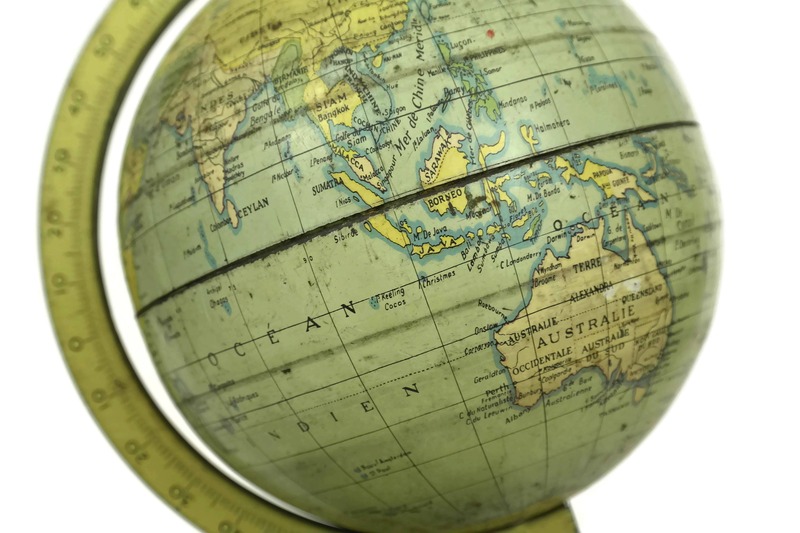 The globe turns freely and smoothly on its axis.